Best Body Lotions for Dry Skin In Winters: Our Top Picks! Winter is almost knocking on the door and it is time to bring out the hydrating moisturizers, lotions and lip balms. Indian weather is more the tropical side and applying moisturizer once a day or two is fine because the climate is mostly sultry and hot. But with winter come rushing, you surely need a hydrating emollient on the skin. Now, with so many body lotions in the market is surely a tough one to choose especially when every product claims sky-high things. Now, do they really perform that well or your money is going down the drain? Well, we have the perfect solution. The following list compiles the best chosen ones that will actually work so scroll down for more information on the post. 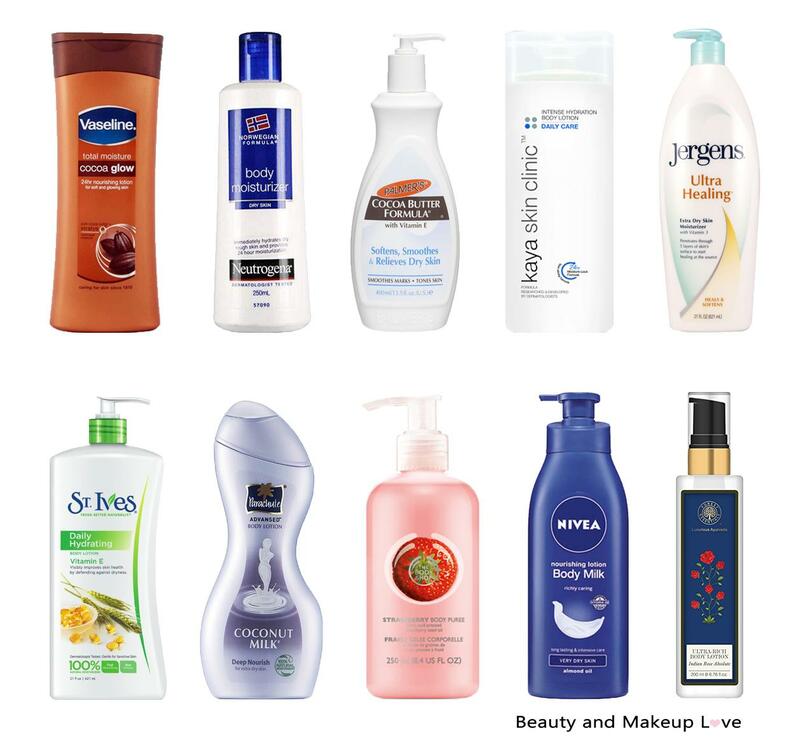 Continue reading Best Body Lotions for Dry Skin In Winters: Our Top Picks! Posted on November 14, 2016 Author SanchitaCategories Best of the Best, Body Lotion, Dry SkinTags Best Body Lotion for Aging Skin, Best Body Lotion for Dry Itchy Skin, Best Body Lotion for Extra Dry Skin, Best Body Lotion for Parched Skin, Best Body Lotion for Women, Best Body Lotions for Dry Skin, Best Body Lotions for Dry Skin In Winters, Best Jergens Body Lotion for Dry Skin, Best Lotion for Dry Skin, Best Nivea Body Lotion, Best Parachute Body Lotion for Dry Skin, Best St. Ives Body Lotion for Dry Skin, Body Lotion For Dry Skin, Body Lotion for Dry Skin India, Body Lotion for Winters, dry skin, Neutrogena Body Lotion for Dry Skin, Palmer's Body Lotion for Dry Skin, Top 10 Body Lotion for Women, Top Body Lotion for Dry SkinLeave a comment on Best Body Lotions for Dry Skin In Winters: Our Top Picks!